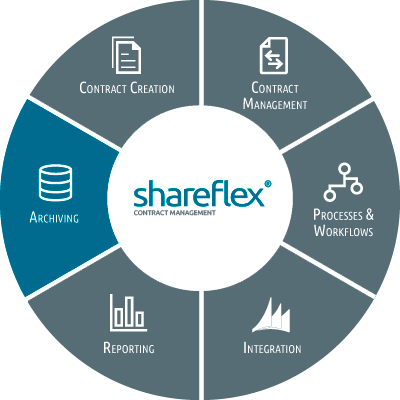 Shareflex|contract helps you to organise your digital contract management and offers you a maximum of flexibility. Online or on-premises. Just as your business requires. 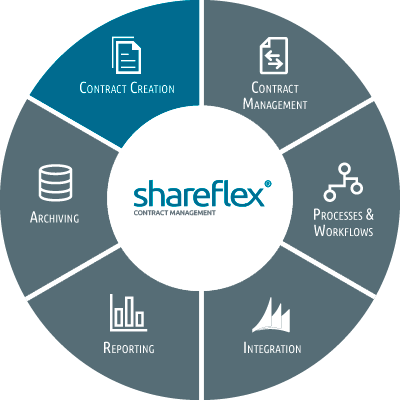 With Shareflex|contract and the integrated modules, you can manage your contracts securely and efficiently over the entire life cycle. 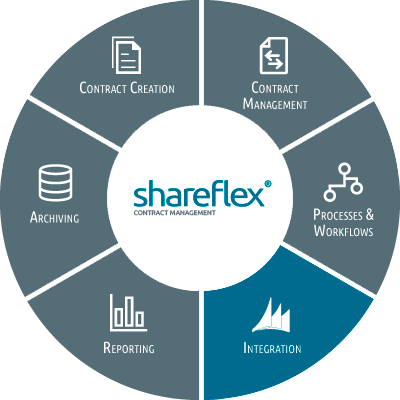 The pre-configured standard application for professional contract management is deployed within minutes and integrates seamlessly into your existing Microsoft SharePoint environment. 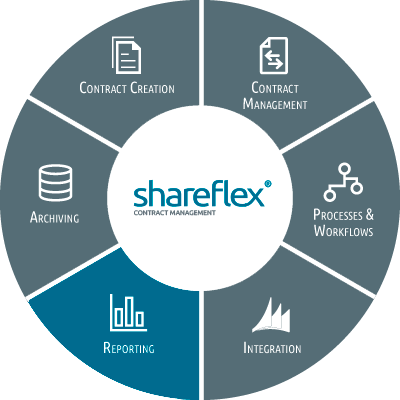 Our contract management software is based on the Shareflex|platform by Portal Systems. This enables you to configure the standard solution at any time according to the specific requirements of your company. In this way you ensure maximum flexibility. And all this without any additional programming. 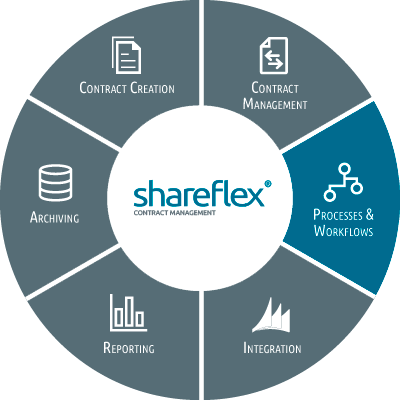 We are very pleased, that we can now offer you our contract management solution Shareflex|contract for Office 365 as well. Are you interested in cloud-based or hybrid scenarios? Then contact us. We would be pleased to inform you about the possibilities! 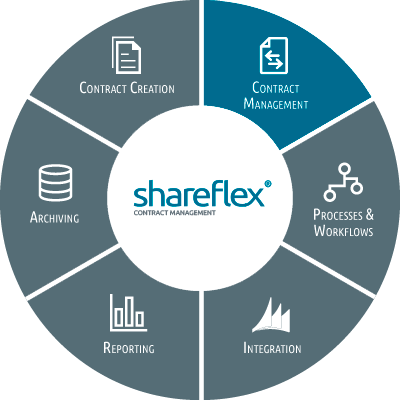 Whether online or on-premises: With its quick and easy adaptability to individual process requirements, Shareflex|contract stands out from other comparable contract management solutions. See for yourself! Our software now also assists you in implementing the European Data Protection Regulation (DSGVO) and the International Financial Reporting Standards 15 and 16 (IFRS 15, IFRS 16). All important information about the features of Shareflex|contract can be found in our video (only in German, sorry) and the product guide. Of course, we will also gladly answer your questions in a personal conversation or show you our contract management system in a live demo! Many pioneering companies are already pursuing digitisation with the Shareflex solutions by Portal Systems. Are you ready for the first step? Contact us, we look forward to your questions!